The formation of QDP is a simple story. I was a semi-professional woodworker for more years than I care to remember when in 2009 my wife, KayEllen decided to start quilting. I would follow her around as she shopped at quilt stores looking for fabric. I on the other hand, could be found examining the displays and store fixtures because wood is my fabric so- to-speak. I started asking the shop owners if their customers ever inquired about quilt stands or other items to display their quilts on. The common answer was yes. I would then ask if they had a source for this type of product and the common answer was no, at least not reliably. I heard this often enough to start thinking about providing these types of products to the general quilting population. Not just to the local shops, but across the country as well. There was’t a “go to” brand that I could find that had national status…so why not be that guy? QDP was founded in April of 2012 with the intent to develop a national brand selling quilt display products, hence the reason for our name Quilt Display Products. 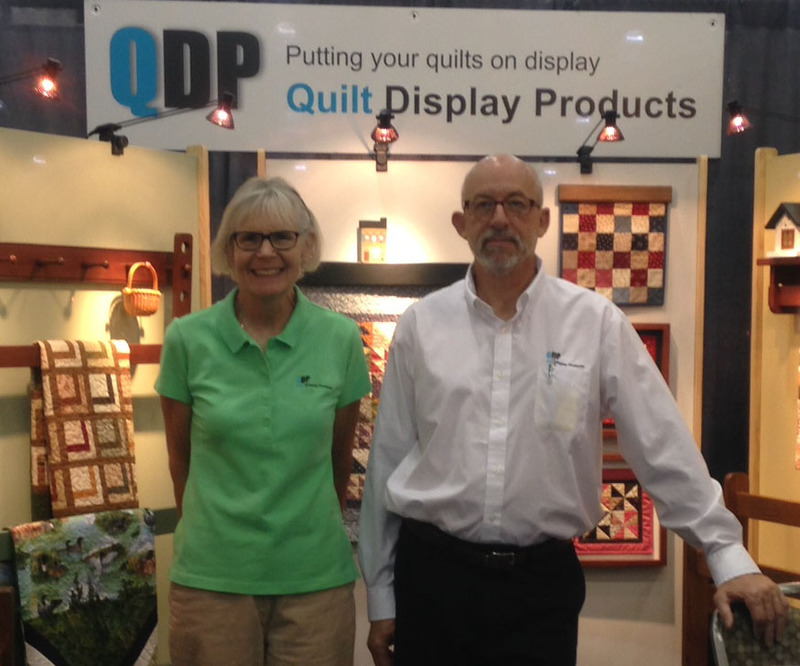 From the start, I wanted QDP to be the brand that came to mind when displaying your quilts. My wife and I have been working hard to make that happen ever since. It took a little over a year to design our first line of products, get our website on-line, and build a trade show display that we could haul around the country to promote our brand. Our first order was placed on our website in June of 2013, and they have been coming in ever since. Thanks to all of you who have ordered, and to all of you who plan to, QDP plans on being here to serve your quilt display needs long into the future!